Igor Tsai was only 16 when he learned in 2004 that famed director Timur Bekmambetov would be shooting the surrealistic thriller “Day Watch” in Igor’s hometown of Almaty. An avid movie fan, Tsai had long believed that film makers should be doing a better job of creating action scenes. And the tall, handsome young man thought he was just the guy to lead the way. Bekmambetov’s gamble on the teen-ager has paid off big-time. Tsai has become one of the top action-sequence coordinators in the business, a skill that’s particularly important in Bekmambetov films because action is the director’s forte. Tsai’s confidence at a young age that he could choreograph fight sequences for an industry icon grew out of his being the 68-kilogram Asian taekwondo champion. He was certain before he jumped into movies that he could translate his martial-arts skills into riveting action scenes. Determined to let Bekmambetov know about his ideas, he called his friend Michael Vorobev. The artist was a friend of Bekmambetov’s production-company partner, Bakhyt Kilibayev. 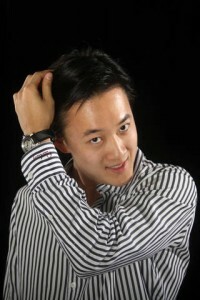 The teen-ager asked Michael to use his connection with Kilibayev to arrange a meeting with the director. Without knowing whether he’d get an audience, Igor and some martial-arts buddies made a 30-second video of a fight scene that Michael forwarded to Kilibayev. The teen-ager’s self-assurance almost melted when Bekmambetov showed up at the dojo — or martial-arts gym — that he used. “We showed him the choreography and talked with his cameraman,” Tsai said. Tsai and his buddies were stunned – first that Bekmambetov had decided to hire young unknowns for an important movie and second that he’d made the decision so fast. “We didn’t know how to react,” Tsai said. The Kazakhstan-born Bekmambetov, who is the founder and president of the Astana International Action Film Festival, had stunning success in the former Soviet Union with “Night Watch” in 2004 and its sequel “Day Watch” in 2006. The films’ special effects, departures in lighting and camera angles, and other trailblazing prompted Hollywood to recruit him. And he continues to use the talents of the young man who created the swashbuckling historical battle scene in “Day Watch.” All together, the now-24-year-old Tsai has done action-scene choreography for six of Bekmambetov’s movies. Tsai not only created the battle scene in “Day Watch” that captured the ferocity of the 16th century warrior Tamerlane, but he was also the stunt double for the actor playing the Central Asian legend. He vivdly remembers the shooting along the Illi River in Almaty because it occurred in minus-27-Centrigrade weather. Much of the shooting has been in Moscow, where Bekmambetov has longtime entertainment-world connections and access to good studios. Tsai sent some of Bekmambetov’s associates in Moscow video laying out the scene that Tsai filmed in Almaty. The Moscow group turned the preview into a 3D animation. Bekmambetov then used the animation as a guide to shoot the actual scene in the Czech capital of Prague with American and British stunt people. “Abraham Lincoln” was Tsai’s first production in the United States. The script he was given included two scenes in which Lincoln “is killing 15 or so vampires at one time.” But there were no detailed descriptions for pulling the scenes off. “I had to figure out how it was going to happen,” Tsai said. “Abraham Lincoln” has received mixed reviews. Some have hailed it as ground-breaking cinema, partlcularly its special effects. Others have trashed it for an absurd plot — America’s most venerated president taking on vampires threatening to take over the United States before and during the Civil War. Igor Tsai practicing another stunt. Bekmambetov said at the Astana International Action Film Festival that “Abraham Lincoln” would never be a big money maker for the studio that made it, 20th Century Fox. But the $69 million film had grossed $58 million in worldwide ticket sales as of last week, so it looks on track to at least cover its costs. Even many of those who dislike the movie’s story line have praised its action scenes. The scenes involve Lincoln – who was known as the rail splitter for his skills with an ax when he was young – using a chopper to dispatch throngs of slavering vampires. One scene is so spectacular that it will remain etched in the minds of “Abraham Lincoln” viewers for a long time. It’s a fight atop cars of a moving train whose trestle is burning and crumbling. It took Tsai only three days to come up with an over-all approach to the fight sequences but six months to develop the full choreography for each scene. The action not only had to tell the story, but also match the character’s personality and enthrall the audience, he said. The only caveat is that the action has to look real, not fanciful, he said. He said 90 percent of “Abraham Lincoln” was shot in the New Orleans area, which still has many 19th century buildings such as former plantations, and the rest in Los Angeles. Igor Tsai displaying martial arts skills at his Action Studio Kun-do. Tsai said he works for Bekmambetov on a project basis, not as a permanent staff member. When he’s not doing movies, he’s running a combination martial-arts dojo and action-choreography studio in Almaty. His Action Studio Kun-do grew out of a stroke of luck in 2008. Almaty-based Eurasian Bank was sponsoring a reality television show, “Credit Story.” Tsai became one of the 10 contestants pitching ideas for a business. The contestant with the idea the judges deemed best would receive Eurasian Bank financing to start the business. His background in choreographing fight scenes led to his proposing Action Studio Kun-do. The unusual idea trumped the competition. Tsai opened up a dojo that today teaches martial arts, acrobatics, fight-scene choreography, acting and dancing. What’s next for the multi-talented young man? “I’ll continue to work as a (movie) fight coordinator,” he said. Not only is it fun, but it enhances his dojo’s reputation, generating more clients, he said. He’s also thinking about becoming a movie producer. That might seem sacrilegious for a guy whose bread and butter has been fight scenes. Let’s remember, though, that while Igor is only in his mid-20s, he’s been doing movies for eight years. Even rabid fans of his fight scenes shouldn’t begrudge him the chance to reinvent himself. My name is Shirley, i’m here to give my testimony of how i became a vampire . Long time ago,a friend of mine told me that Vampires are real and i doubted it at the first place,not until she confessed to me that she is one of them. and that she got turned/initiated by home of vampires ( homeofvampires@hotmail.com) She told me the reason she had to became a vampire,at first i was scared of her but later she made me understand that i need not to be scared and that becoming a vampire will only make me live longer than expected,become famous and be able to fight all my enemies which i later agreed to become,i never thought it was real not until recently.